South Hill is a mature leafy cul de sac development, wonderfully positioned on an elevated site off St Fintans Road in Sutton, on the southern side of the Howth peninsula. It comprises an exclusive modern development of 26 bespoke detached family homes of varying designs and sizes, each occupying an elevated position looking down towards Dublin Bay. No. 26 is an architecturally designed full redbrick home and it comes to the market in good condition throughout having been well maintained by the present owners who have lived there since the house was built. The property currently extends to a healthy 2,300 sq ft (including the attic storage rooms) and is surrounded by a good sized mature garden. The extra wide side entrance to the right hand side offers plenty of scope to extend if more space is required. The bright and well laid out split level accommodation on offer comprises a porch, reception hall, tv/playroom, a fine living room and dining room. The good sized kitchen/breakfastroom has a utility room and WC off. Upstairs there are four bedrooms, master ensuite, and a family bathroom. There is also a staircase off the landing to the attic level which is converted into 2 separate store rooms with Velux windows and built-in wardrobes. The rear garden has an elevated private paved patio above the good sized lawned area. The patio is in an ideal spot to enjoy the bbq's on the long summer days. This enviable location is within easy reach of all amenities and services that this maritime address has to offer. 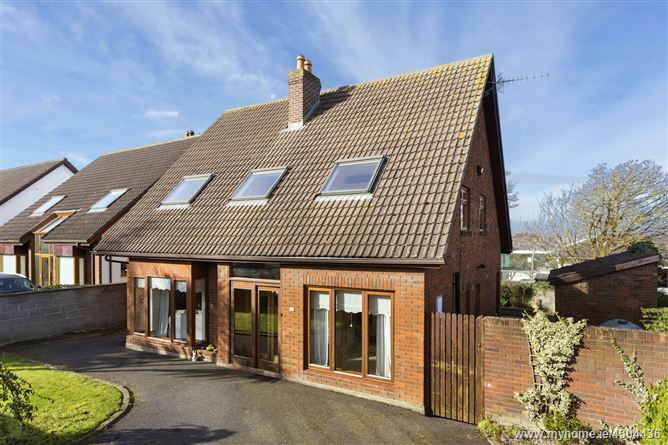 Sutton offers an excellent choice of both primary and secondary schools and local shopping at Sutton Cross can be enjoyed within minutes of leaving your front door as can Howth village and harbour. The numerous coastal, hill and parkland walks that the peninsula is famous for, are also nearby. Viewing can be arranged by appointment with Gallagher Quigley.